A WordPress website, along with design and managed hosting from InsideOut Solutions, creates a strong foundation for your online marketing. Occasionally, our current and potential clients will submit their concerns about having a WordPress website. Often these concerns are raised when a website Content Management System (CMS) provider publishes a blog post, email newsletter or other article denouncing WordPress as a website platform in order to convince readers that they offer a better alternative with their own CMS. 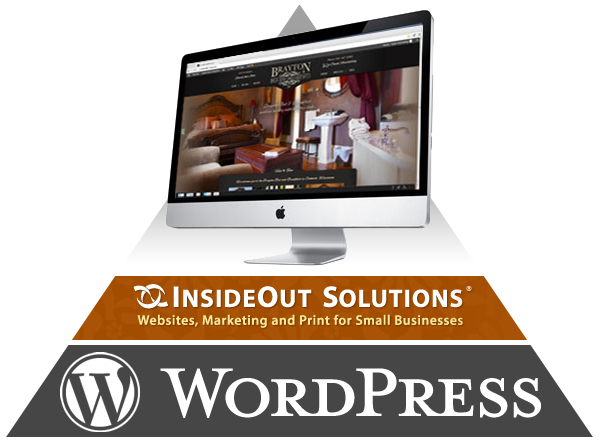 While it’s true that a WordPress website isn’t ideal for every business, InsideOut Solutions has proven that WordPress combined with our quality website design and managed hosting services create an effective and affordable internet marketing platform for its clients in the unique lodging and related industries. Whether you own a B&B inn, dude ranch, cabin resort, boutique hotel or motel, or vacation rentals, you owe it to yourself to learn more about WordPress and why it is such a powerful foundation for websites. Ready to commit to building your internet marketing all by yourself? With our WordPress website design and hosting services you don’t have to. Many of the claims against WordPress made by other CMS providers are based on a total DIY (do-it-yourself) scenario. 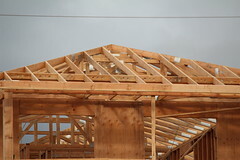 A DIY solution is a flawed assumption for the vast majority of businesses in the smaller scale hospitality and related industries. More often than not, these businesses want control over their website and content, but don’t want to build it from the ground up and maintain every little component. Instead they look to web designers, hosts, internet marketing specialists and other providers to help them reach their online goals…and that’s where InsideOut Solutions comes in. We free up your time so you can devote it to running your business. Do you want to rent or own your website? A WordPress website with managed hosting is an affordable ownership option. That’s not entirely dependent on the CMS, so don’t be fooled; a web designer and host who is an expert with editing WordPress themes and plugins will be able to put together the website at prices competitive with any other CMS on the market. If you’re tackling a website as a total DIY project, then you can expect to spend time updating and testing software updates for WordPress and any plugins. Typically, the proprietary CMS providers who rail against the inefficiency of WordPress tout the fact that they keep their CMS up to date with the latest security and technology needs. The simple fact is you can get the same kind of protection with managed WordPress hosting. Our managed hosting service takes care of updates for you, allowing you to get on with your business. WordPress hosting by InsideOut includes research for compatibility issues on core code, themes (i.e. “look and feel”) and plugins prior to implementation of any updates. This means your website won’t be broken by a WordPress, theme or plugins update. All updates are vetted by our technicians. We also edit themes and plugins as needed to get them to work with your website. Security updates are always the top priority. Which is more frustrating: 1) Learning an easy-to-use CMS that can go almost anywhere, or 2) learning your easy-to-use CMS doesn’t belong to you if and when you decide to move? WordPress is widely regarded as the easiest to learn and use CMS among all open source platforms (more on “open source” later). The interface is regularly cited to be more intuitive than Joomla or Drupal, the other top open source platforms. As part of our hosting, InsideOut includes training in WordPress administration, content management and blog writing. It’s important to note here that most proprietary CMS solutions are far less able to move between hosts. Many of them aren’t transferable at all. A few don’t even offer a data and resources export, meaning even the text and images of the website cannot be easily obtained when the time comes for a change. More on this later. Unlike proprietary CMS, WordPress has a huge (and growing) community of developers contributing to the growth and improvement of the platform and its plugins. WordPress evolves with changing web standards. 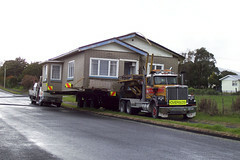 Having a WordPress website means you can pick up and move anytime and to almost anywhere. Websites designed in WordPress can be exported from one provider, then transferred and imported by another provider with a minimum of effort. As noted earlier, there are many proprietary CMS providers where this simply is not the case; you are locked in their content management environment and cannot move your website to another host. Some allow a “flattened” export (i.e. a website without CMS features) while others offer no export feature whatsoever. We’re passionate about the WordPress platform. InsideOut Solutions has used WordPress as the primary blogging platform of our client blogs since 2007. In 2009 we moved to using WordPress as the primary CMS of our new website designs. Since then, we have developed hundreds of WordPress websites and blogs for our clients, expanding our expertise with the platform as it continued to grow and evolve with the web. WordPress expertise is relatively easy to find. A deep understanding of marketing specialty lodging, destinations and related industries is comparatively rare. Since 1995, our hospitality market focus has been in the bed & breakfast inn, dude ranch, boutique hotel & motel, vacation rental, and cabin resort sectors, where the marketing message needs to be as unique as the lodging itself. We also build WordPress websites for clients in related industries including chambers of commerce, lodging associations, real estate brokers and more. This experience gives us unique understanding of how to best use the WordPress platform to develop an attractive, easy-to-use, and search engine optimized websites for these business types. InsideOut Solutions has developed over 30 WordPress plugins that we authored specifically for our clients. We have also modified several existing plugins to make them work even better for the websites we design. From our rooms and specials management, to our real estate and directory listings plugins, and much more, we continually strive to provide more efficient and effective ways for our clients to serve up their content to website visitors. One-on-one online training in WordPress administration, content management and blogging are included with our Website hosting upon launch of the website. We also offer online support in the form of video tutorials and an online user manual. Your “InsideOut advantage” doesn’t end with a WordPress website. Let’s look at the advantages of our managed hosting services. Do so ensures your website will be as secure as any open source CMS and most proprietary CMS options. 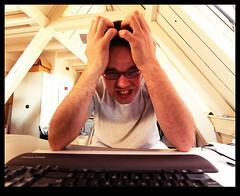 InsideOut Solutions offers ’round-the-clock emergency technical support by. During office hours (9:00 AM to 5:00 PM, Pacific Time), your call, email or contact form submission will receive support from the technician best able to serve you. During off-hours your call will be directed to our emergency line voicemail, which automatically contacts the appropriate technician to respond to the notification or request for service. 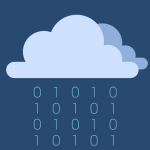 Cloud hosting allows InsideOut to separate processing power from storage and data for your website, meaning our host servers handle those huge traffic spikes far more efficiently than traditional web hosting servers. Learn more about the advantages WordPress and our managed hosting services on our web hosting page. Contact us to learn more about how the WordPress website solution from InsideOut Solutions can empower you to take your internet marketing efforts to the next level.